Before I just go giving a random list of the latest and greatest Headphone amps out there, can all of us audiophiles just take a step back and remember if ,why and when we need these in the first place. As we know, Headphone amplifiers are just mini power amps which boost the speakers inside headphones. Great, so which one should you get? Easy, it depends on what you already have. There is no point buying a $50 amp for a $10 set of headphones and a tiny stereo system right? Start with quality headphones because what the amplifier can do is relative to what the speaker can do. In order for you to get the best quality as well as the best value for your money, you need to consider the Player, the headphone and the amp. Are they more or less on the same level? FiiO has become quite the respected name in the audiophile community. No wonder it is one of our favorites. This is a great entry-level all-in one portable headphone amplifier. It is affordable, lightweight, compact and non-obtrusive. It fits easily into your pocket and the battery can last through 5 hours of solid music-playing. Otherwise, it can even survive for up to 16 hours. It has a little bass boost just for fun. This is definitely one of the more powerful amplifiers out there. It is lightweight, compact and has amazing sound quality. Audiophile grade, suitable for all headphones up to 600 Ohms. By far the best but also most expensive option. This is not only one of the best options for power in relation to being lightweight, but it also comes with a nifty little microphone to enhance phone calls and any recording. Are you an aspiring rapper with beats on the move? This just may be for you. What’s more, it has the most impressive battery life as compared to many of the other competitors. Its average market value of $50 is a reasonable price, considering This all in one money saver could just be your great headphone investment. Larger headphones tend to need an amplifier more. Smaller earplug phones usually don’t. 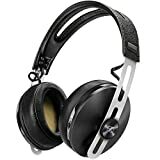 Impedance: Are your headphones High impedance or low impedance? Impedance is the resistance, combined with reactivity that headphones deliver to amplifier in the form of an electrical load. 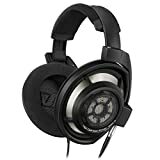 High impedance headphones will benefit more from an amplifier since they will need more voltage, whereas the lower impedance headphones may need more current. The lack of current affects sound quality more than sound. While low impedance headphones may have loud sound, an amplifier may drastically enhance the quality of the sound. So consider what you are looking for, more volume or volume plus sound quality? Obviously DJ’s and people mixing will have a different set of requirements than those simply looking for more of a sound-boost at the gym. If you keep all of the above in mind you definitely should be able to find the perfect headphones amplifier for your needs. If not message us with your questions or leave a comment!